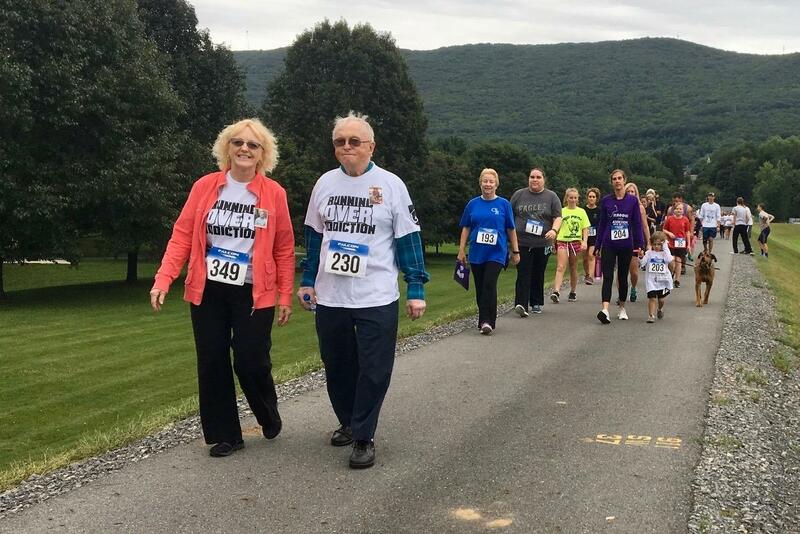 Participants in the "Running Over Addiction" walk and run in South Williamsport, a community event to raise money and awareness to combat drug addiction. Runners and walkers were cheered across the finish line at a recent charity run in South Williamsport. The goal was not only to win a half-marathon or 10K, but to raise money and awareness to counter addiction. Among those cheering at the finish line was Dylan. He’ll have been sober for two years in November. “Drug court changed my life. It saved my life,” he said. Dylan, who’s in his mid-20s, asked that we only use his first name. He broke his neck when he was 13 and was sent home with prescription painkillers. He says that’s where his addiction started. It wasn’t until he was 20 that he was introduced to heroin. He started snorting heroin, then ended up shooting it. After going in and out of jail, he went to rehab, but nine months later relapsed, taking acid. He was in drug court, and turned himself in. He told them to send him to prison, but they didn’t. “They saw something in me that I didn’t see in myself,” he said. As communities in Pennsylvania continue to look for ways to address opioid addiction, one option is a drug court. When Centre County was starting its new program it looked to Lycoming County, whose program is more than 20 years old. Shea Madden is executive director of West Branch Drug & Alcohol Abuse Commission. The commission handles case management for Lycoming and Clinton counties’ drug courts, working with people like Dylan. “These are high risk, high need individuals that need this kind of structure,” Madden said. A participant could be someone who is on probation, but tests positive for drug use, or has new charges brought against them. If they do go into the Drug Court program, that means working with Madden’s office, meeting with the judge every other week, getting treatment, seeing their probation officer, going to self-help meetings. And getting frequent drug or alcohol tests or wearing a patch that can detect use. Participants are in the program for an average of 18 months. The program is especially intense in the beginning. In exchange, the participant could get a reduced sentence. “I think most folks would tell you that the program is much harder than sitting in jail and not having the responsibilities and you know the pressure to kind of you know do what they need to do in the program,” Madden said. Madden has been with the drug court since its start. She says she has seen people transformed. Many Pennsylvania counties have drug courts. And, according to the National Association of Drug Court Professionals, they save money — from $4,000 to $12,000 dollars a person. 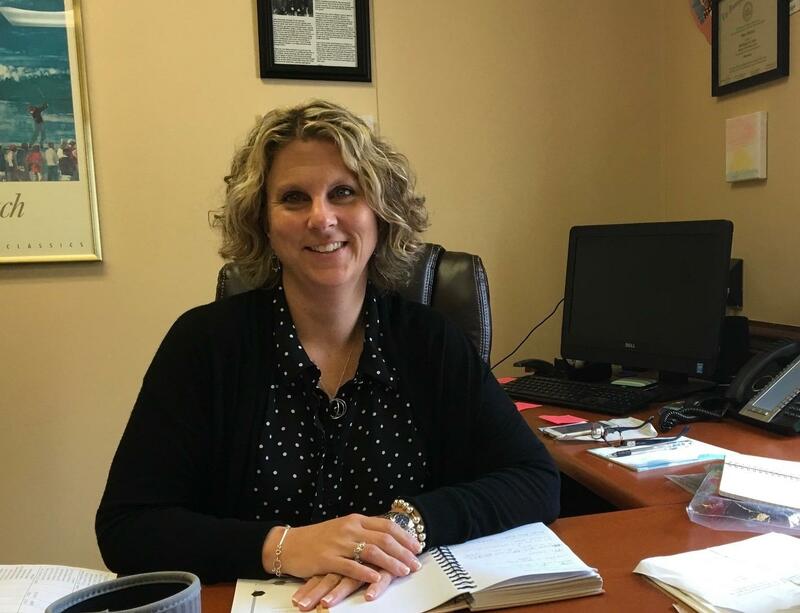 Cathy Arbogast, program administrator for Centre County Drug and Alcohol, helped start the county drug court in January. The goal, she said, is to serve those who are most likely to reoffend. That includes offering structure, resources and guidance to build skills to help them in the long-run. “The behaviors that we’re seeing, the charges that we’re seeing really stem from an underlying addiction, and coming up with whatever solutions they need to survive and manage the demands of that chronic disease,” she said. Arbogast said there will always be people who think the approach is too soft. “What we’re seeing and what the research has shown is that the success rates for those that come through treatment court programs is much higher than it is for folks on standard supervision,” Arbogast said. Arbogast said they look to celebrate all levels of success. The county has nine participants now, and the program is designed to work with as many as 25. 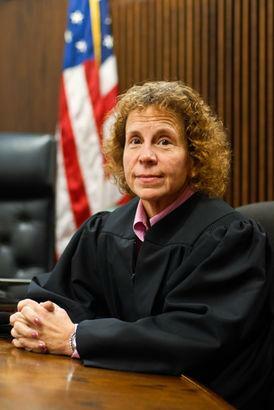 President Judge Pamela Ruest is the judge for the drug court. Centre County has had a DUI court for several years. She said they decided to have a drug court because of the seriousness of the opioid epidemic. She went to the DUI court program and the participants gave her advice. Ruest said her father was an alcoholic who got treatment, and that helps her cut through some of the stories. The program has its skeptics. Rebecca Tiger, associate professor of sociology at Middlebury College, in New York, has studied and written about criminal justice systems and drug policy. She said historically drug problems tend to be made worse by criminal justice responses. She pointed to approaches other countries are taking, such as decriminalizing drugs or having safe injection centers. Tiger said now is a good moment to think about what could work. Welickovitch is also an assistant public defender in Lycoming County. He’s seen both sides of a treatment court. Welickovitch applied to the Lycoming County treatment court after getting his third DUI in 10 years and facing a one-year prison sentence. He got kicked out of law school, but was able to go back and finish his degree at Penn State Law. He said turning to harsher incarceration doesn’t work. Welickovitch and others say focusing on treatment and getting rid of the stigma are important steps. This story is part of “Battling Opioids,” a Pennsylvania public media collaboration focused on the opioid crisis. Drug Courts are one of the country's fastest growing criminal justice initiatives. Experts say they give drug addicts a chance to straighten out reduce recidivism, and save taxpayers money. How do they work? WPSU's Patty Satalia talks with the Honorable Nancy Butts, president judge of the 29th district court, Lycoming County. 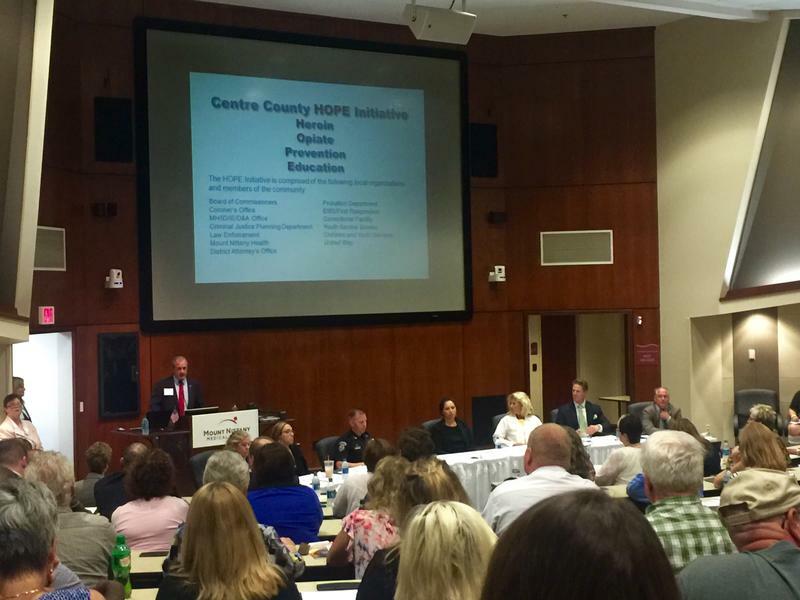 Over 200 people attended a town hall meeting to discuss the growing epidemic of heroin and opioid drug addiction in Centre County. A group of panelists ranging from law enforcement, medical professionals and public health officials focused on raising awareness and the need to treat drug addiction as a disease.